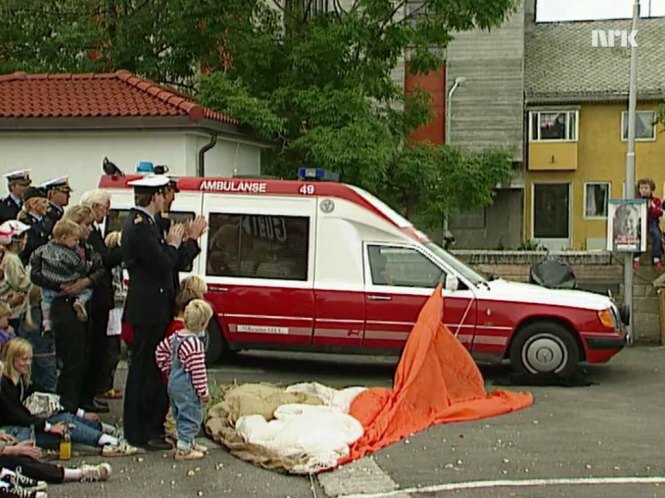 IMCDb.org: 1991 Mercedes-Benz 260 E Ambulanse VBK Rescueline 124 L [VF124] in "Pelle politibil, 1993-1997"
Looks like a blonde version of young Waldo. VBK Rescueline 124 L (= Miesen Bonna 124 L, manufactured under license by VBK of Horten, Norway). 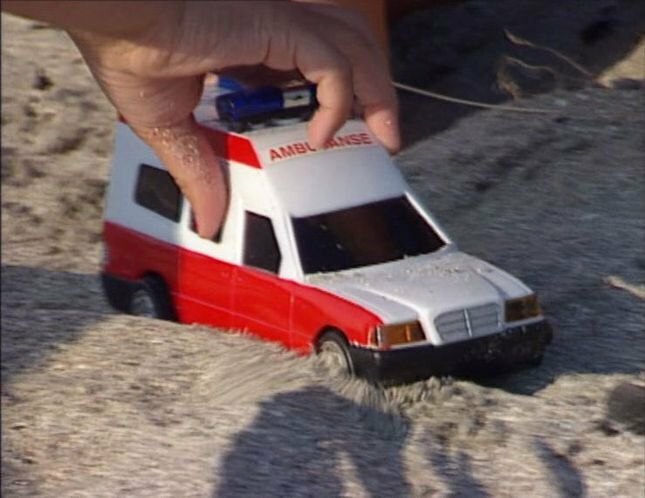 Edit: And the toy is a Visser ambulance!